Change is an eternal concept. In today's competitive marketplace, organizations must be able to grasp the reigns of change to ride it to a successful future. Many people are afraid to alter their behaviors, but it often proves more threatening than challenging. Nido Qubein transports audiences on a journey through business examples from his careers as a university president, business leader, corporate executive, and public speaker. He talks about change in an enlightening and transformational way so that audiences actually want to change for the better! Whether it is reculturing an organization or changing the mindset of an individual, this topic is as popular and timely as ever. Out of adversity emerges abundance. Difficult times often are filled with opportunities. Nido Qubein came to the United States as a teenager with little knowledge of English and only $50 in his pocket, yet ended up a mega-success story. Today, he is president of a leading university and chairman of a national retail company—and one of the most sought-after leadership speakers on the professional circuit. Qubein will share his own story and his ideas and strategies for succeeding through even turbulent times. This dynamic, authentic, entertaining speaker delivers a powerful, inspiring message on finding focus, balance, and meaning in business, and in life. You'll leave this presentation entertained and inspired to be impactfully innovative. This presentation will show you how to prepare your employees for high productivity and your company for maximum profitability. Learn how to grow a well-trained, educated, and motivated team. Nido Qubein makes an important point: Teaching people skills without giving them a vision for a better future—a vision based on common values—is only training. He goes beyond dictionary definitions to show that yesterday’s thinking looks at the tasks people perform today and asks “How can we train our future employees to do these things?” Tomorrow’s thinking looks at the kind of people needed to execute corporate strategy and finds ways to educate employees to become those kinds of people. To sell effectively in today’s ever-changing, competitive world, one must master sales skills and behavioral knowledge. 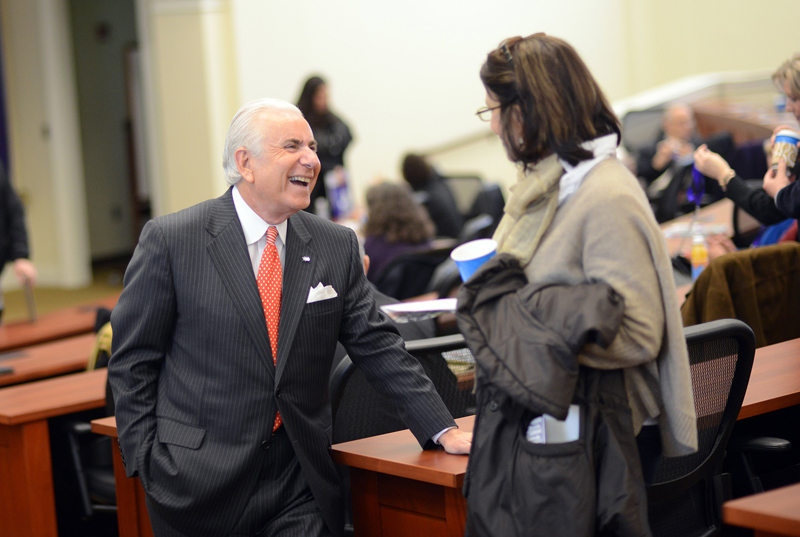 Nido Qubein teaches both with humor and audience involvement. He focuses on the Law of Identification (when something becomes personal, it becomes important; treat every customer as if you’re about to lose them) and teaches participants to ask penetrating questions. (How must this person feel first so that this person will buy from us?) Nido Qubein emphasizes this statement: Prospects don’t want to buy your product; they want to buy the product of your product. Remember: Your service and product must be better than your competitors, and your customer must readily acknowledge that. Why should people do business with you? How easily can someone else imitate what you do? Do your customers think of you first? Nido Qubein shares dynamic principles for personal and corporate achievement. It doesn’t matter how much you know or what you can do. What matters is what your customers and colleagues believe and perceive you can do for them. Do they understand and value what you are offering? Your positioning reflects other people’s confidence in your ability to do whatever you do with professional competence and expertise—how much they trust you to meet their needs. Your positioning is the way people feel about you and your work; it’s about the way you make them feel when doing business with you. Nido Qubein shows your audience how to “position” for maximum results using a practical approach and a professional strategy. Communicating effectively with people, inside your company and beyond, is a minimum-requirement skill in our ever-changing global marketplace. This presentation is designed to help your audience develop the communication skills required and to wield them with power and effectiveness. They’ll learn not only the basics, but many of the finer points Nido Qubein has picked up during a long and successful career as a professional speaker, author, and advisor to top executives and to successful companies, including specific strategies used to “connect” for persuasion and results. To date he has written a dozen books, delivered thousands of speeches, and showed millions the art of effective communication. Entertaining and educational. An audience favorite! Nido Qubein transports audiences on a journey through business examples from his careers as a university president, business leader, corporate executive, and public speaker. He talks about change in an enlightening and transformational way so that audiences actually want to change for the better! Whether it is reculturing an organization or changing the mindset of an individual, this topic is as popular and timely as ever.